When Sisterism is out of the way, any chances of picking up and finishing off “Choir!” (http://www.mangaupdates.com/series.html?id=29892)? 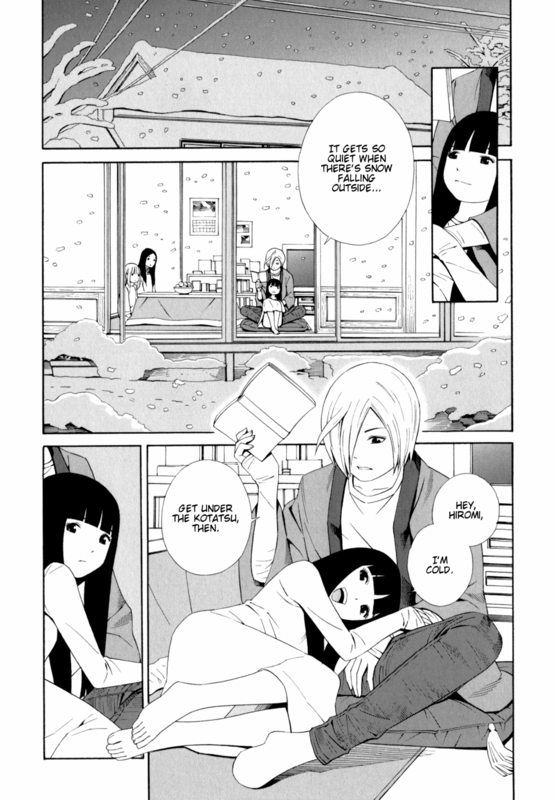 It seems like it’d be up your alley, and I hate to see dropped scanlations go unfinished. “out of the way”? tss… such insolence! thanks a lot for the scanlation! Well, I originally had “is finished,” but I didn’t want to use the same word three times in one post. I didn’t intend to imply that Sisterism is anything short of awesome; I was just leading into my point that they were about to have some extra time on their hands, and here’s a series that would make the loss of Sisterism more bearable when that happens. TY for the chapter, btw, that was really faaaaaaaaaaaarrrrrrrrr away. I just stumbled across the raws of volumes 1 and 2 of Sisterism, and it turns out they contain two “extra” chapters that haven’t been translated. IT IS IMPERATIVE THAT YOU TRANSLATE THESE TOO. you canceled the Zettai Shoujo SeiikiAmnesian, right? Yes, but that was due to licensing by JManga. With their recent shutdown, we can start working on it again once we have a TL. Was wondering what happened with Wife and Wife.Is it dropped? I was also wondering about the story(?) behind Sisterism,meaning is it for one-two couples(?) or is it a compilation of short stories (1-3 chapters each).Haven’t read it because I’m waiting to be completed. Wife and Wife has a long list of chapters currently being translated. Sisterism’s chapters are like short stories, but they’re all connected and follow the same couples. I’m curious; about chapter 31, will it be the final chapter of volume or the final chapter of manga?